Emma is an Employment specialist who qualified in 2007. Having spent her early career in top 100 national practices and then 5 years in Clarkslegal LLP’s top-rated Employment team, Emma joined Draper Lang in 2015 and was made a partner in 2018. Emma has experience in all aspects of employment law and advises clients ranging from multinational businesses to senior executives. She offers clear, straightforward and practical advice. Emma enjoys getting to know her clients and working with them to find the best solution for their particular needs. This may be in navigating a particularly tricky exit, Tribunal claim or managing a complex TUPE or restructuring programme. 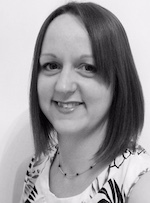 Emma enjoys creating and delivering training and has a particular interest in employee engagement. She has worked with organisations in developing employee forums and also restructuring relations with trade unions. Key sectors of experience include media, communications, construction, facilities management, catering, waste management, rail and logistics. "Your excellent responsiveness in a fast-moving negotiation, your forensic attention to detail in a complex case and the depth of your professional expertise gave me confidence and peace of mind." “Excellent, informative and efficient webinar, I would highly recommend to other professionals”.